The Crown In at Elton is a family-run country inn offering home-cooked food, five-star bedrooms, a great selection of beers and wines, and a very warm welcome. Recently named as one of Britain’s 30 best places to eat, drink and stay, as published in The Times, this establishment can offer the right person a challenging and exciting role in an establishment where excellent food and customer service are expected from both the customers and owners alike. 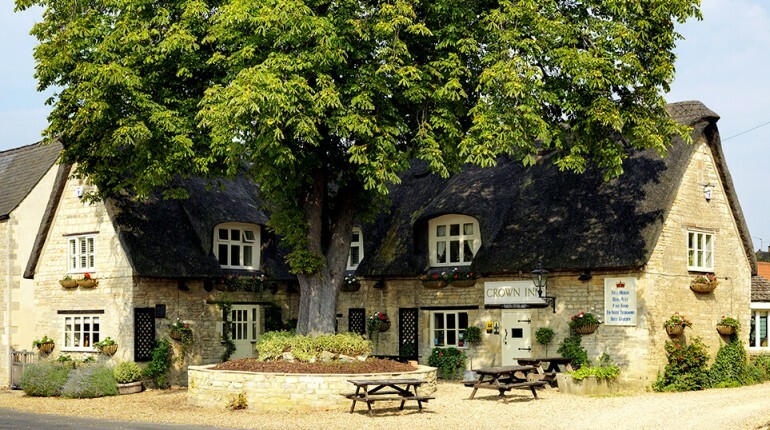 A vacancy has arisen for a Restaurant Supervisor, working in the village of Elton, which is eight miles outside Peterborough. Reporting to the General Manager, this role will ensure the efficient operation of the restaurant with a focus on maximising profit, maintaining quality standards and excellent customer service. Ensure the efficient day to day running of the restaurant, including ensuring staffing levels are correct at all times in the restaurant. Ensure the delivery of excellent customer service to every customer. Meet and greet customers, organise table reservations and offer advice about menu and wine choices. Train and motivate restaurant staff and have an input into recruitment, where required. Deal with any customer complaints, as required, in a customer focussed manner. Make suggestions for the continuous improvement of the restaurant with customer service at its heart. Be responsible for handling all types of payment, using till, changing till and cashing up. Manage and deliver events in the restaurant and bistro. Work with the marketing team to provide anything required for promoting the restaurant. Ensure the cleaning schedule is completed in a timely manner. Ensure stock levels of restaurant supplies are managed properly. Ensure all restaurant equipment is well maintained and working correctly for every service. Updating menus and other admin tasks such as function planning. Maintain high standards of quality control, hygiene, health and safety. Taking orders, and serving food and drinks. The successful candidate should have excellent interpersonal skills, be passionate about excellent customer service and have the confidence to manage and motivate a team in a very busy environment. To succeed in this role the applicant should have at least two years’ experience in a similar position with experience of running a front of house team, as well as a driving licence and their own transport. An HND in hospitality management, business management, catering or similar would be desirable, but is not essential. The successful candidate will be expected to work five days a week on various shifts, including work during evenings and weekends. To apply for this vacancy please email a copy of your CV and a covering letter telling us why you think this role would be perfect for you, to recruitment@crowninnelton.co.uk. Alternatively, please feel free to drop your CV and covering letter in at the pub.